Directorate of Primary Education (DPE) Job Circular 2017 has been published 25 may 2017 www.dpe.gov.bd and 27 may 2017 Bangladesh Protidin Newspaper Primary and Mass Education Job Circular 2017 DPE Job Online Apply http://dpe.teletalk.com.bd/home.php Official Website. 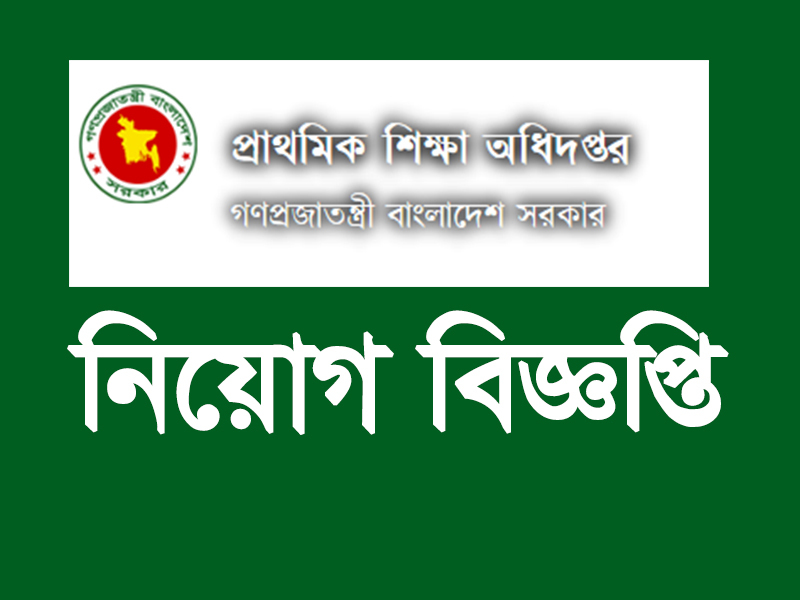 You Can apply Directorate Primary Education Job Circular 2017. There are total post 1025 and 5 Categories. Related all information will be update here. JSC, SSC and Class Five Passed Students Can Apply For Various Post. Your are right person at first go to http://dpe.teletalk.com.bd/home.php and then click application form->select choice your post -> next -> main form fillup-> next -> your photo and signature upload -> submit. After Complete Application Form Submission by Online, Print Your Application and keep Save. You Will Find User ID in Application Form for Send Payment by Teletalk Mobile SMS. 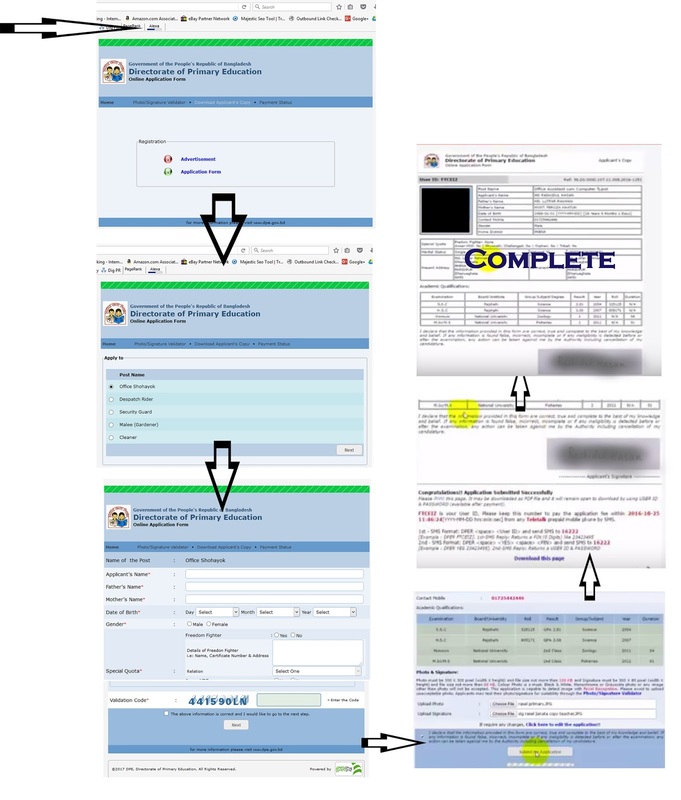 After Complete online Application Applicant has to Pay Fee by Teletalk Mobile within 3 Day. N.B: Photo must be 300 X 300 pixel (width X height) and file size not more than 100 KB and Signature must be 300 X 80 pixel (width X height) and file size not more than 60 KB. Colour Photo is a must. Black & White, Monochrome or Grayscale photo or any image other than photo will not be accepted. After Send 1st SMS. You Will get a Reply SMS with Pin and confirmation Notice. then Send 2nd SMS to complete Payment. Example: DPE YES 631272 And send 16222. When You Complete Online Application Fee You will Receive a User ID and Password. Properly Save For Next Process like exam Admit Card result Result etc Download. directory of primary education bangladesh, Bd primary School job circulation 2017, Directoral of primary Education (D P E),directorate of primary education requirement circular, dpe circular, dpe job circular, dpe job circular 2017, dpe teletalk com bd www dpe gov bd Directorate.